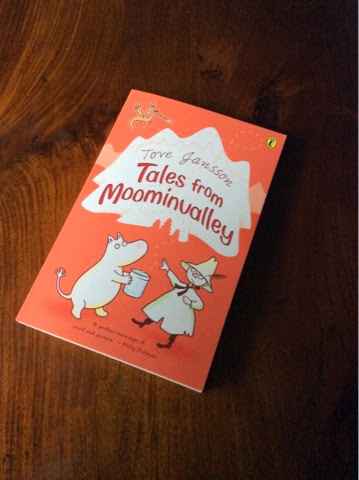 I've just finished reading 'Tales from Moominvalley' a collection of short stories by Tove Jansson featuring her quirky Moomin characters. I'm also going to re-read Mark Twain's 'The Prince and the Pauper' during the break. I'll develop some short unit plans for both books to start the term with. We've had lots of rain this last week and the tanks are full at school. 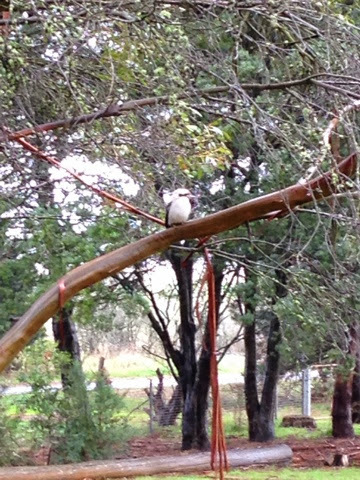 There were lots of kookaburras around. First day of the winter holidays and 23 000 Blog views! 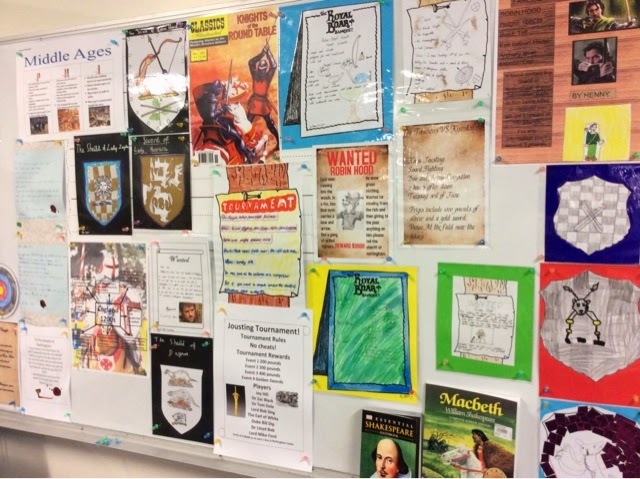 Click on this LINK to go to TPT to find my just completed Robin Hood unit. 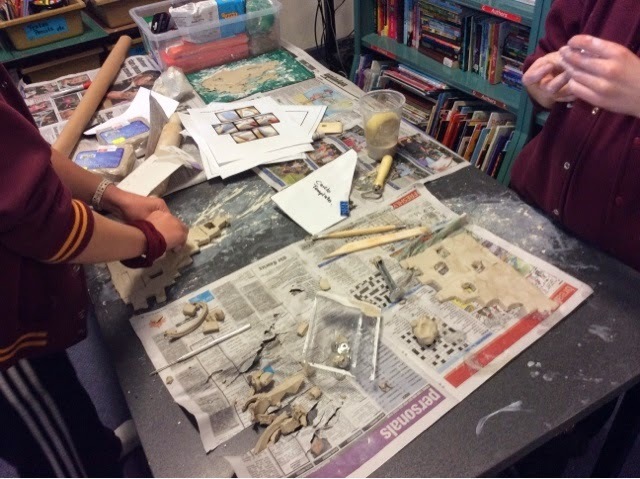 A relaxing final day of term. 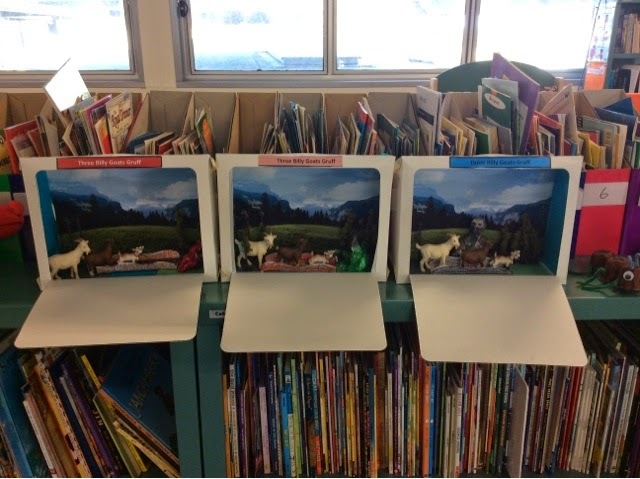 We finished off some unfinished tasks this morning ( Photo of the Billy Goats Gruff dioramas below) and Celeste finished her stay at Glen Park by making cup cakes with the kids. During the break I have to update our OHS documentation, update policies' organise some excursions and term 4 camp and prepare units of work for term 3. there is also Network tweeting to do and I have an appointment to review my 2014-15 performance plan. 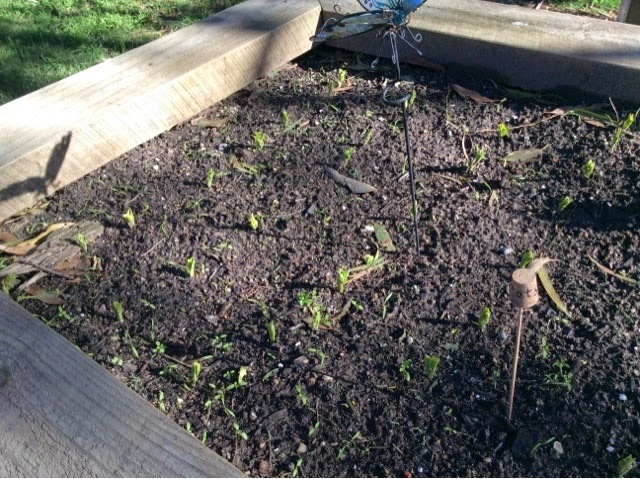 It might be a bit hard for the 'untrained eye' to see but our beans are starting to pop up. We went to Kirks Reservoir for a BBQ lunch and a wander around. 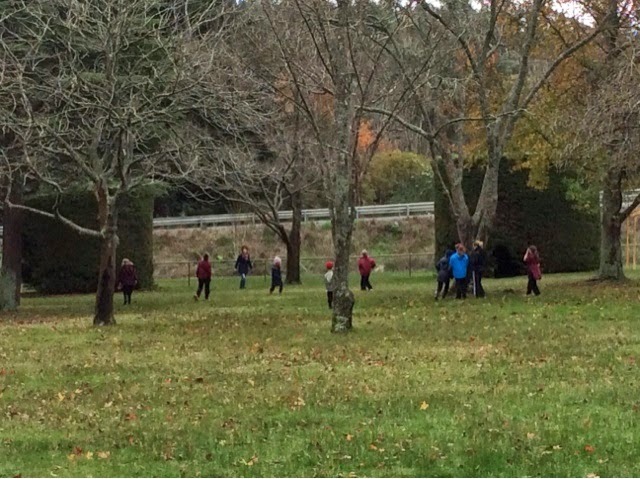 The kids seemed to like getting out and about- we'll have to do it more often. 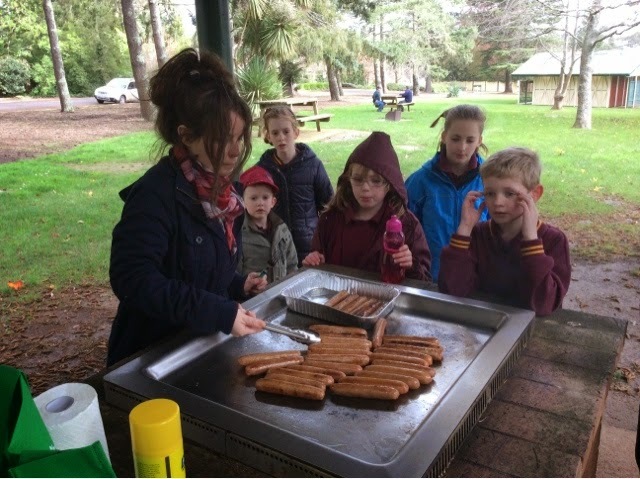 Celeste my student teacher was great, she cooked the sausages while I did my teacher bit and took them for a walk to the reservoir and had a chat about how it was built. After 2 .....and for some 4 sausages! 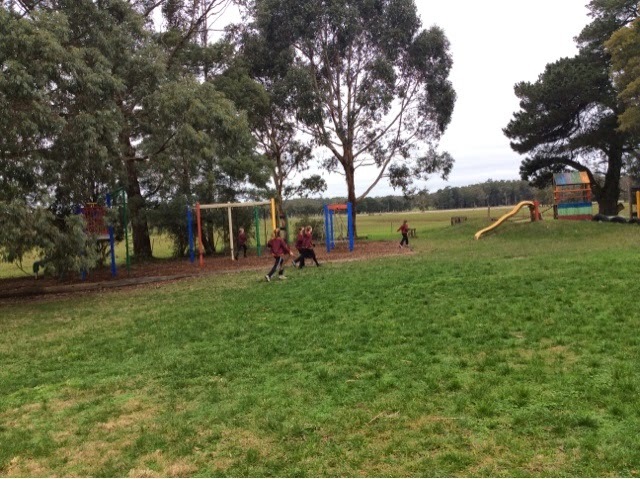 We went for a stroll around the lovely gardens and Celeste took them for games before we went back for school. 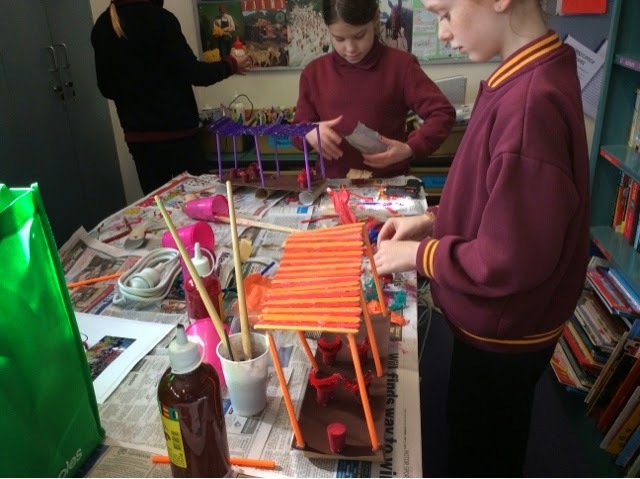 The grade 6 kids finished off their towers and they look great. 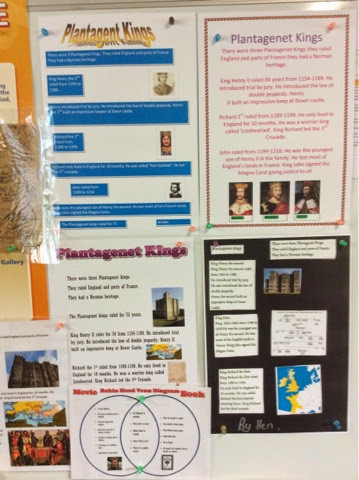 They also created story maps for Robin Hood and information reports about the Plantagenet kings. Tomorrow is the last day of term. 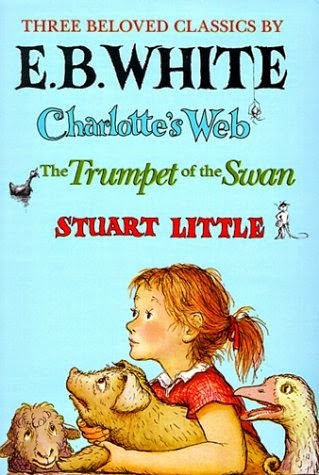 We'll watch the recent version of Charlotte's Web now that we've finished our EB White unit, Celeste is planning to do some cooking ( muffins) and we'll finish our Three Billy Goats Gruff dioramas. 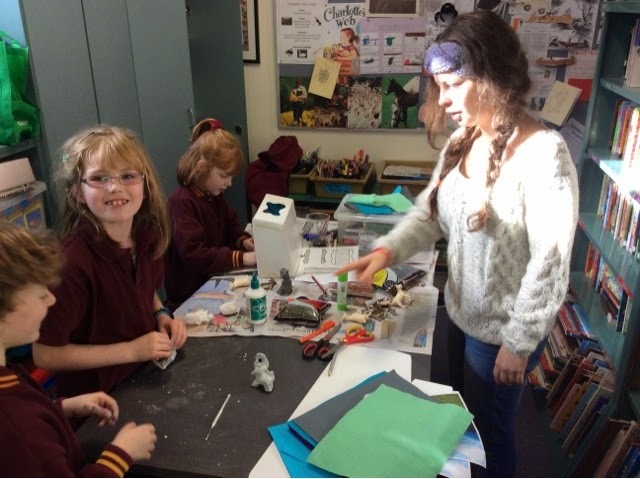 There will be reports to hand out, Celeste to farewell and her assessment to email off to Uni. We finish up at 2:30 and I have school council for half an hour and then I can start my winter break. (I think I'll need about 5 days up at work these holidays plus whatever Steve needs me to do ( updating our school's computer network) and some relaxing with a book time. Go to this site to read an interesting article about the effectiveness of professional school counsellors. 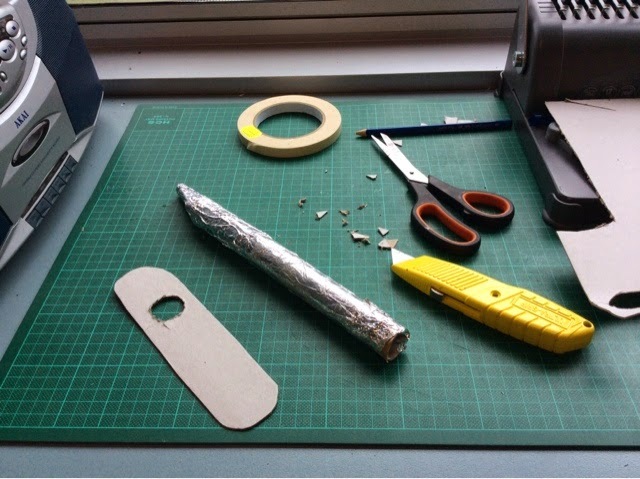 One of my grade 6 girls started making a sword today. She was doing a great job until she started sticking the 'jewels' that were supposed to go on the hand guard, onto the blade? Anyway, we'll see how the others go with there's tomorrow. They also started painting their castle turrets. It was another gloomy and wet today. I hope it is a bit better for our trip to Kirk's tomorrow. I popped in tonight and checked out the BBQs ( Hooray they are free! ) and the toilets ( ALWAYS check the toilets) and everything is fine. 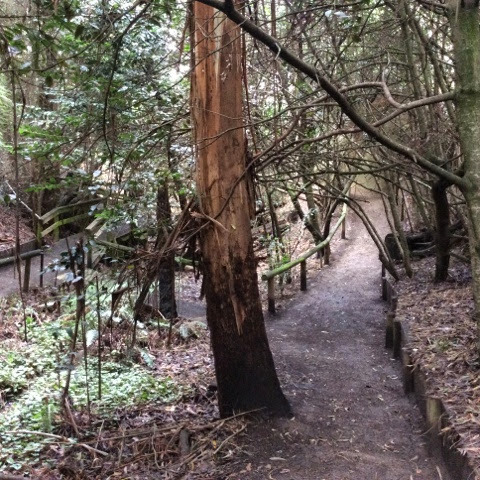 In fact the rain has freshened everything up. Celeste helping with the dioramas. Wow- what a wet, miserable, windy day. Yes winter is certainly here in Ballarat. I hope it settles down a bit before Thursday when we're off to Kirk's Reservoir for a BBQ. 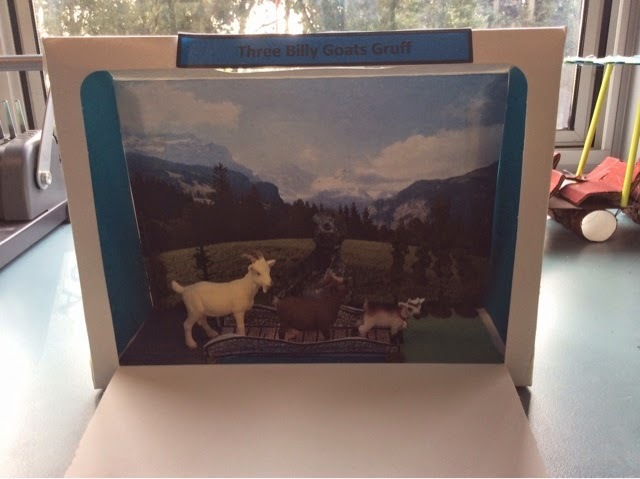 My grade 1 and 2 are working on their Billy Goats Gruff diorama. 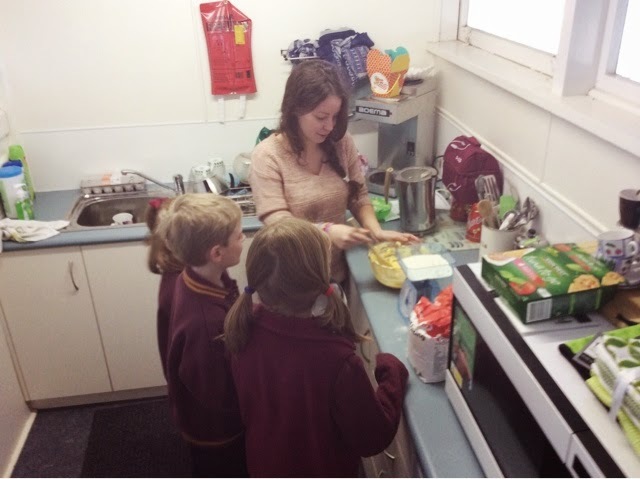 Celeste, my student teacher is working with them and showing lots of patience and skill. I'll miss her when she finishes up on Friday. 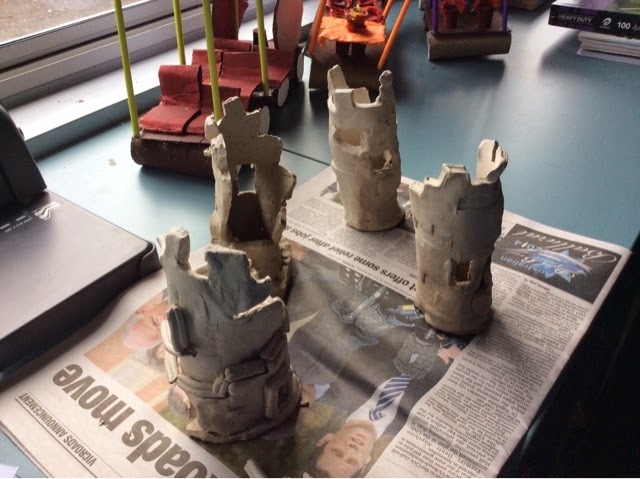 The castle models the grade 6 kids built are drying out nicely and we'll paint them. 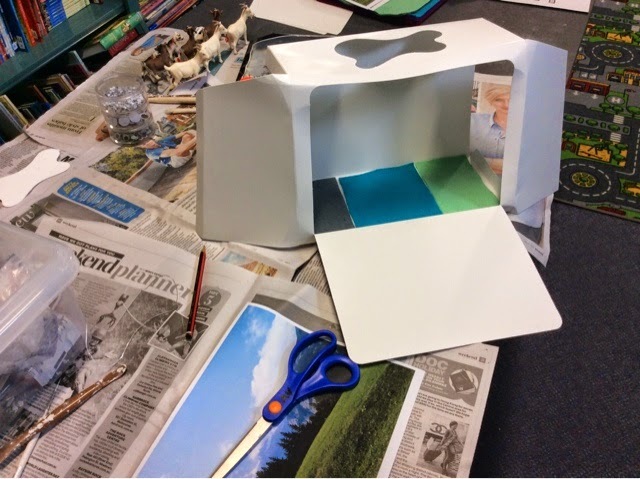 My grade 1 girl is starting her diorama today and will finish it off tomorrow. 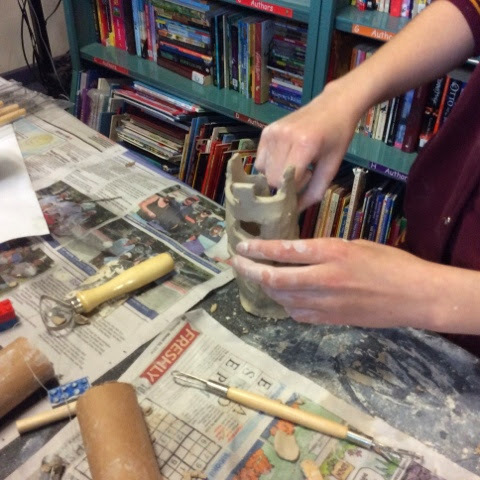 With the help of my student teacher she created a great troll using air dried clay. 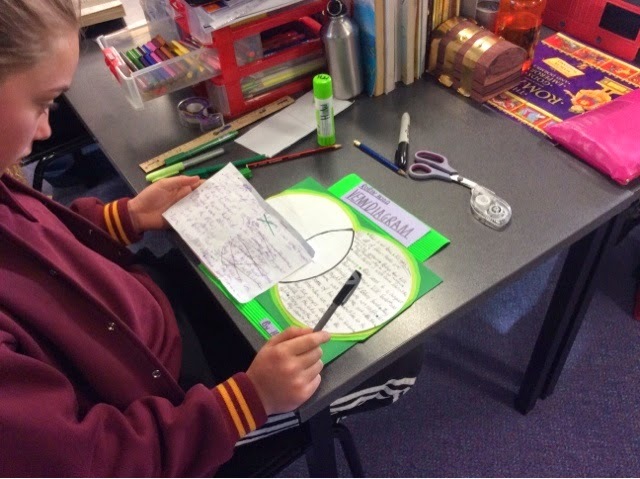 The grade 6 kids finished danger scales for Robin Hood and tomorrow we'll watch the old Errol Flynn version of the story ( the best version) and then complete a Venn diagram comparing the two. 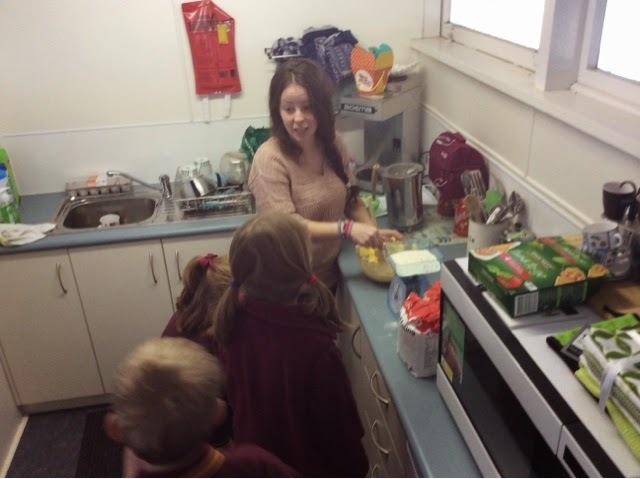 The Federal Opposition today has followed the lead of the South Australian and ACT Governments in saying that any funding going towards a future chaplaincy program should be spent on non-clerical welfare support in schools if schools choose to do that. One of my biggest concerns is that some unnamed consultancy company has written it without any of the stakeholders apparently being......well...consulted! If you put rural principals, teachers and parents in a room and get them to list what needs to be done in rural education you will get an avalanche of ideas. Was this done? When? Who was involved? The last rural education framework had a lot of stakeholder input. 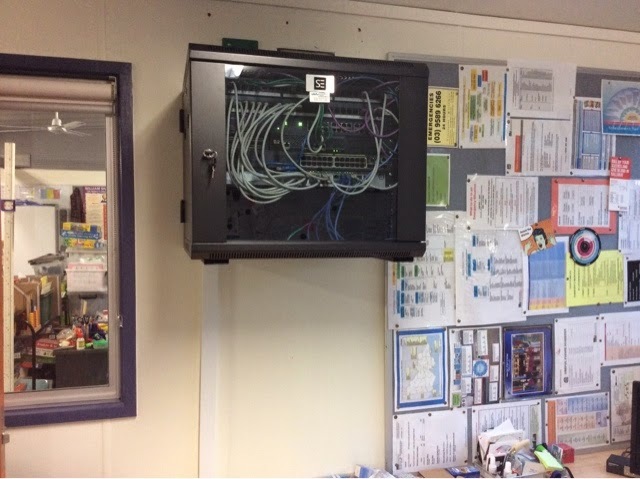 The regional offices have been gutted and the Network structures torn down so who will support schools to make the changes needed ( Big colleges in rural cities will cope but those of us in small schools will find it 'challenging') What support will they offer? Or will it just be a grab bag of half thought out 'initiatives' on somebody's performance plan that will gather dust and blow away? I guess we'll read about it first in the newspapers. It will be interesting to see what they suggest when it is finally released. 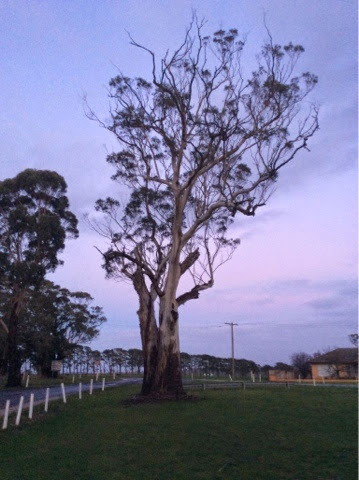 Nearly the winter solstice. It was very dark out this morning when I set off to work. 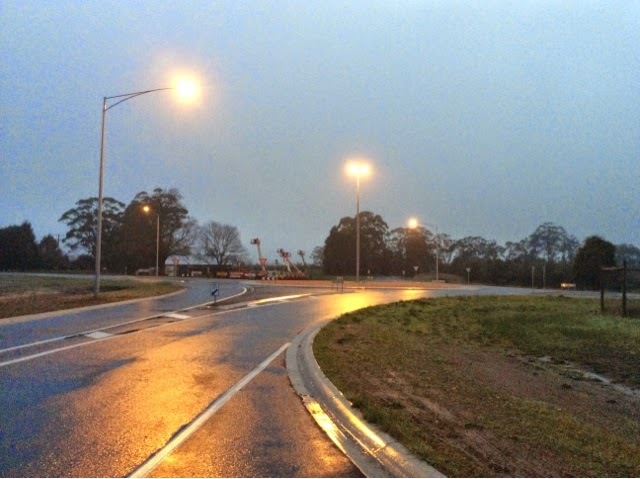 I took the opportunity to check out the new round about on the Bungaree/ Daylesford Road. Hopefully that will end some rather nasty accidents we've had there in the past. 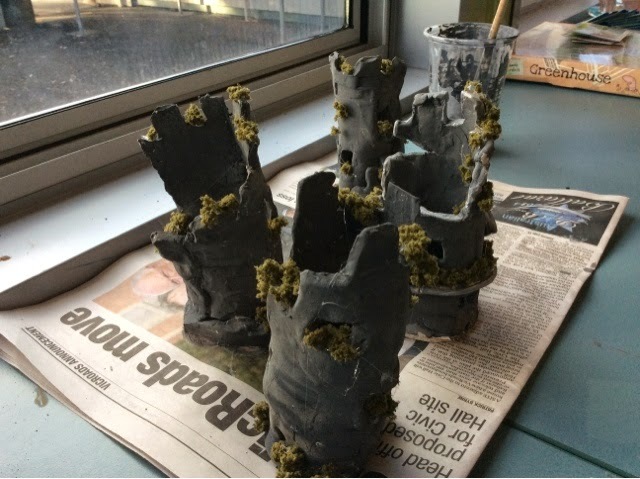 The grade 6 castle turrets are drying nicely. 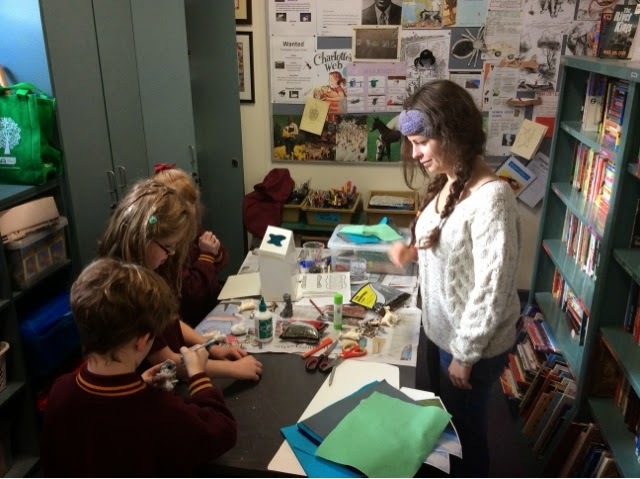 I'm cleaning and preparing for the next week (Last week of term 2) today but also putting the finishing touches to the reports ( now that the printing 'bug' has been sorted) and writing our community newsletter to be printed off this week and distributed during the holiday break. The grade 6 boys finished their turrets today. They should dry over the weekend and we can paint them. 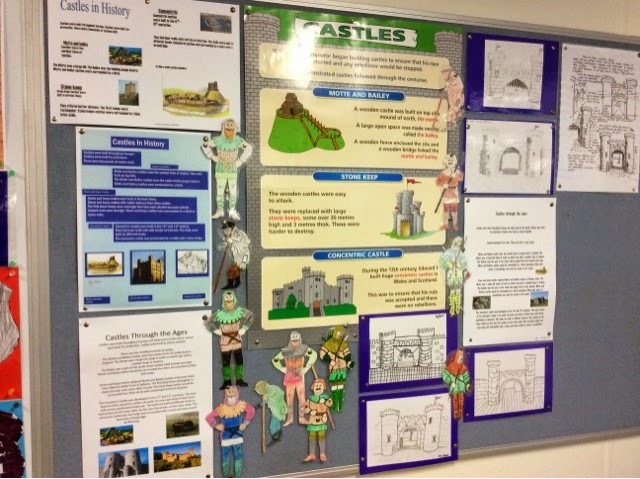 We completed our castles information reports as well as sketches of a castle entrance ( I found a 'how to draw it' on Pinterest) Below is also a photo of some of our other completed tasks for Robin Hood. 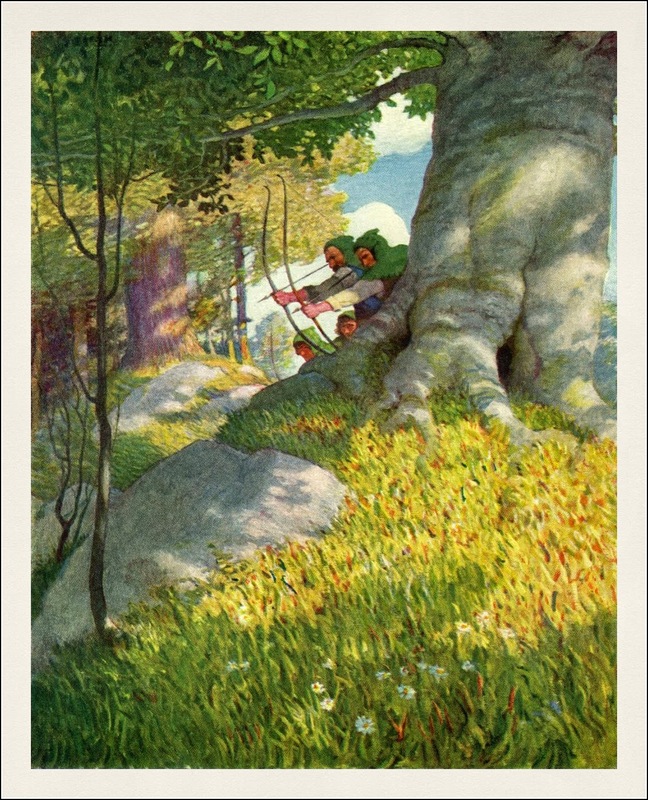 I've also started reading Howard Pyle's version of King Arthur and the Round Table. The new router box was installed yesterday. The lads did an excellent job but what an eyesaw! I'll have to watch my head on it! another great example of the Department's one size fits all mentality. 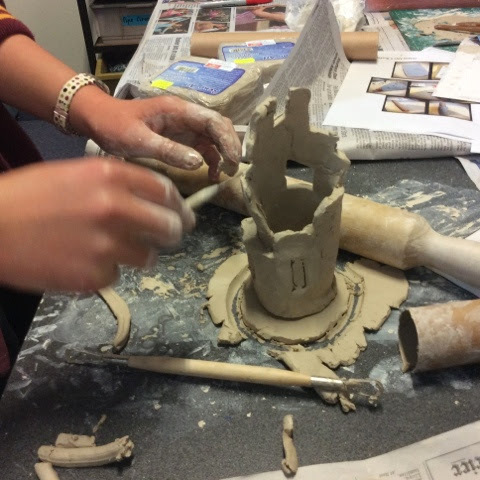 The grade 6 kids started making clay castle turrets today. 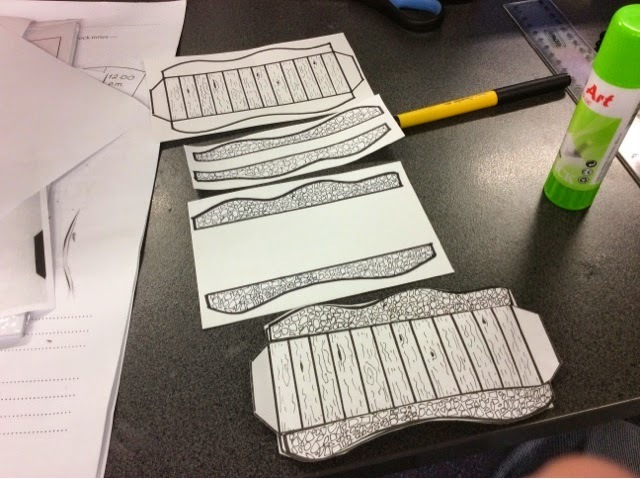 I provided them with a template, ( I found on Pinterest) tools and air-dry clay and they got to it. Below are some photos I took of them at work. 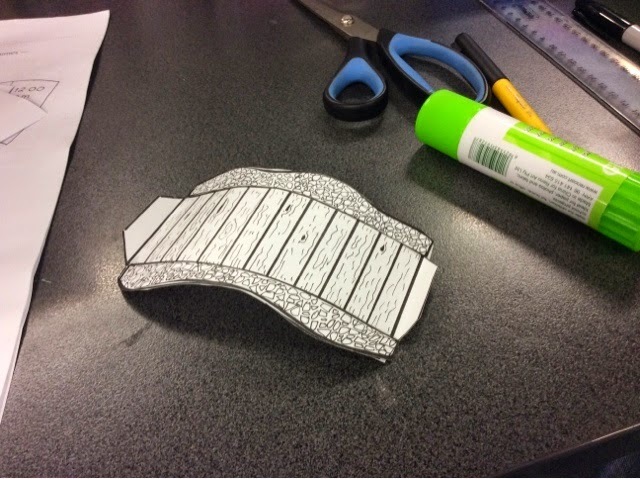 I'll take some photos of the finished product next week. 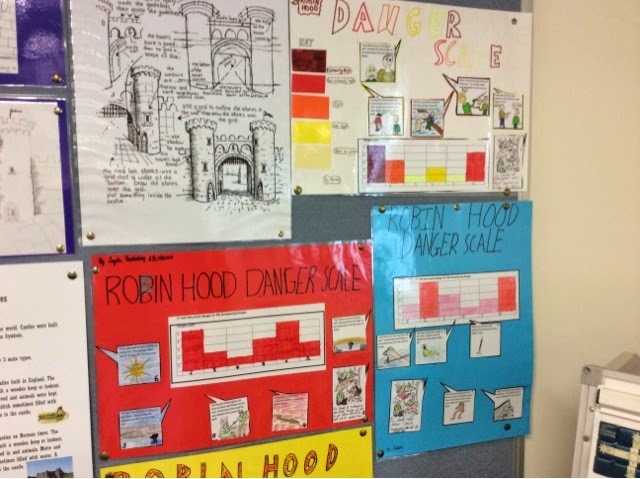 I'll also add detailed information about making them in my Robin Hood unit. 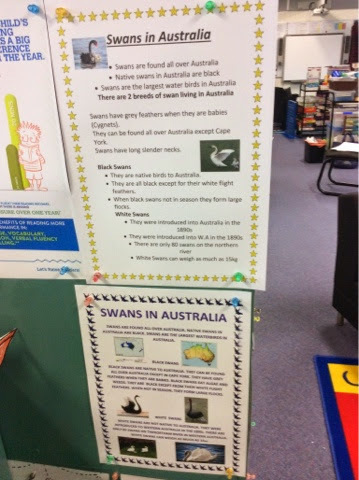 See below Wicked report, swans and spiders. 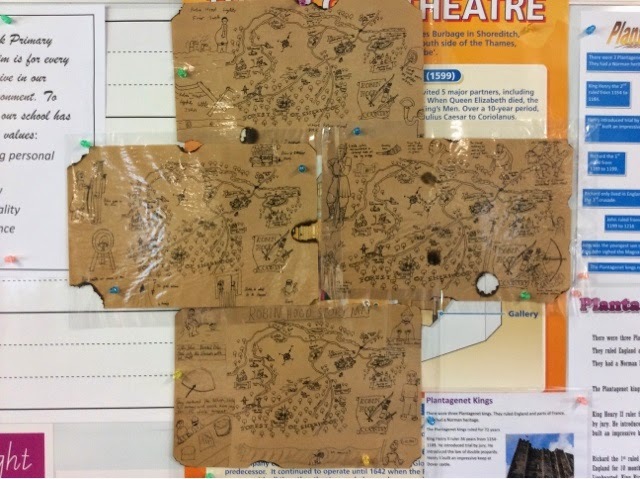 Images of our castle reports we are working on will be posted tomorrow. The High Court of Australia has ruled that the Commonwealth's funding of religious chaplains in government schools is unconstitutional. With people power funding behind him a Queensland farmer Mr Williams, won his challenge over the validity of that law. "It always seemed totally inappropriate that a program could be put into public schools on no other basis than the largely unqualified people that were going in, with the only proviso being that they be religious," he said after today's ruling. 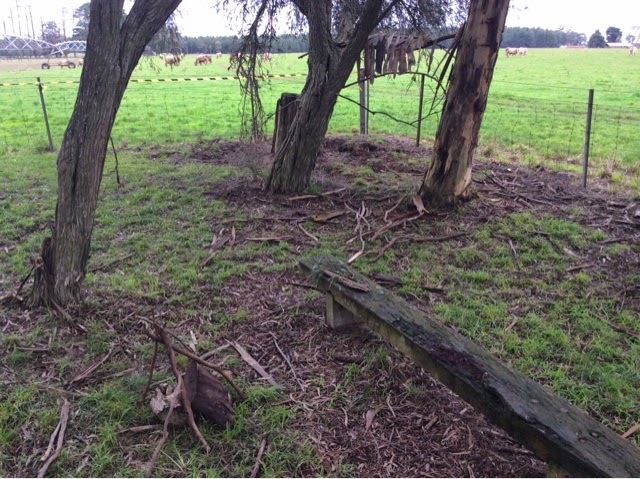 The main question examined in the case was whether the executive government had the power to fund such programs directly through local organisations. The states backed Mr Williams in both of his High Court challenges over concerns the Commonwealth was using the mechanism to bypass them. the irony is that the commonwealth will probably get around the decision by funding the program by giving the states a bucket of money to do it. The government will plough on and the Opposition vowed to work with the Abbott Government to ensure the chaplaincy program can continue. "The Opposition stands ready to work with the Government to ensure that the Commonwealth can act and provide payments in such a way in the future," Labor frontbencher Brendan O'Connor said. The Rudd Government originally supported the Howard Government program to placate the seemingly influential Christian lobby which Howard and Costello openly converted. Meanwhile, Greens leader Christine Milne says she is pleased with the ruling, saying the current arrangement made little sense given recent budget announcements. "With the Abbott Government cutting $30 billion out of education, [injecting] $250 million into the school chaplains program, made no sense at all," she said. I couldn't agree more. the AEU is calling for funding to be redirected elsewhere in schools. "What our students need are expert trained school counsellors, psychologists and welfare workers," he said. 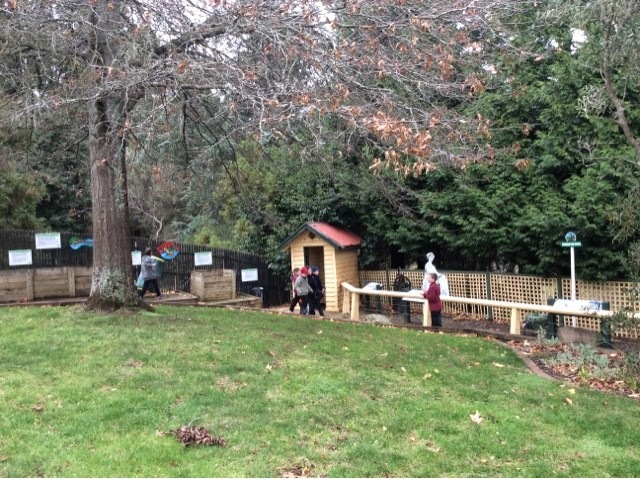 In this year's budget the Federal Government scrapped funding for non-religious counsellors, who made up about a quarter of all participants under the program. The previous Labor government allowed secular student welfare workers to be funded under the scheme, but the Coalition reversed the decision and will only pay for chaplains. For this reason alone the opposition should withdraw its support for this bizarre program which has no place in 'free, secular and compulsory' state schools. We're half way through the Howard Pyle version of Robin Hood. Most chapters seem to be about him recruiting new 'merry men'. So far no sign of Prince John and Maid Marion. I Might read another more well-known version once I've finished the Pyle version later this week. 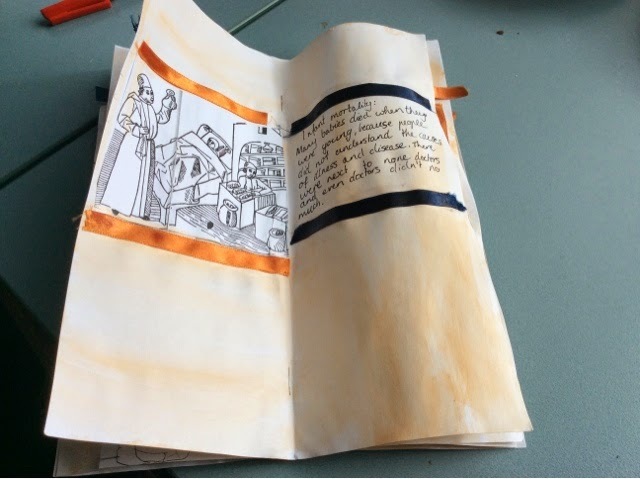 I have also started his version of King Arthur and the Round Table as an afternoon serial. 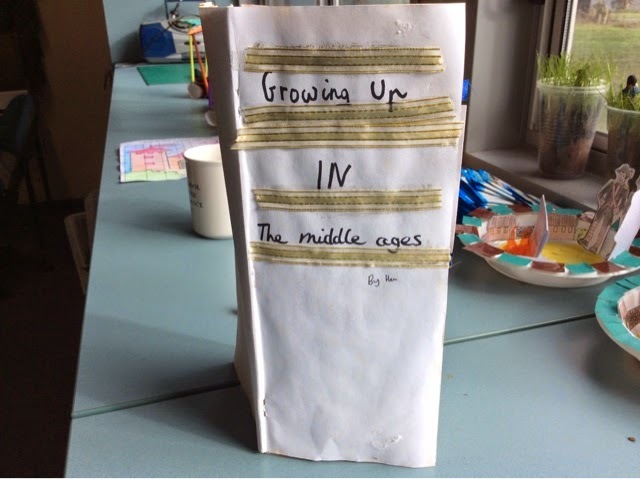 ( Must see if I can find a good abridged version of Ivanhoe) I'll take some photographs of their work tomorrow but below I have an image of one of my grade 6 girl's book about growing up in the Middle Ages. She did a great job. 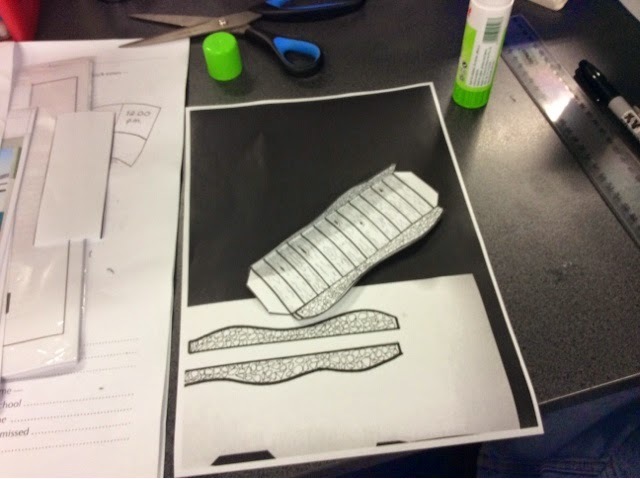 I like the ribbon she added to each page and the black and white images she found. 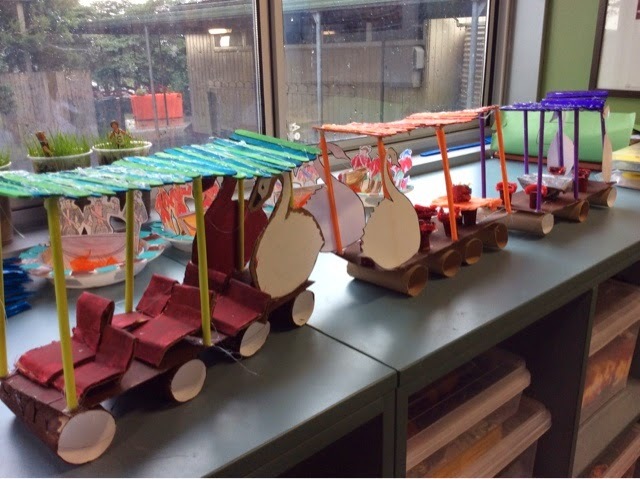 She tried to make it look authentic by painting the paper with a water color wash.
My grade 4 girls finished off their swan boats and did a fantastic effort. The swan boats are a tourist feature of Boston and are featured in EB White's The Trumpet of the Swan. 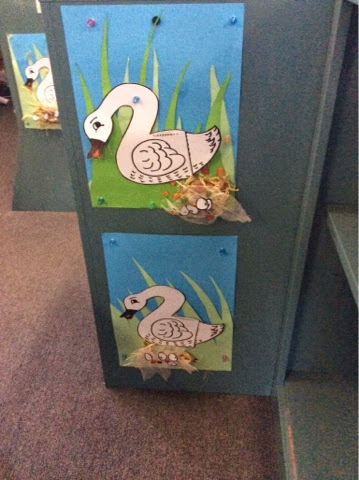 I didn't give the kids any guidance about what I wanted them to do other than to print off some photos of the boats and provide them with swan outlines, cardboard sheets and tubes, glue guns and other bits and pieces. 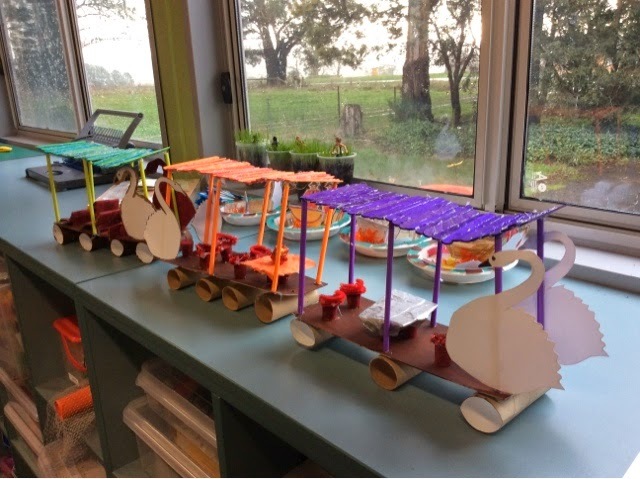 They came up with all the ideas for making the boats. We are about half way through reading Robin Hood. 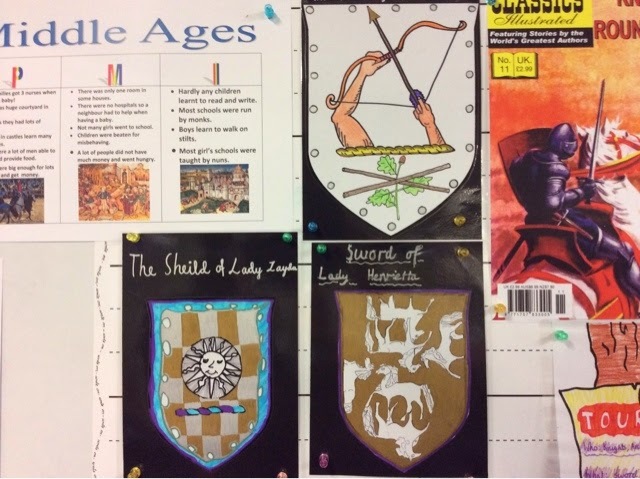 Today the grade 6 kids finished some shields with appropriate coat of arms. They did a terrific job. 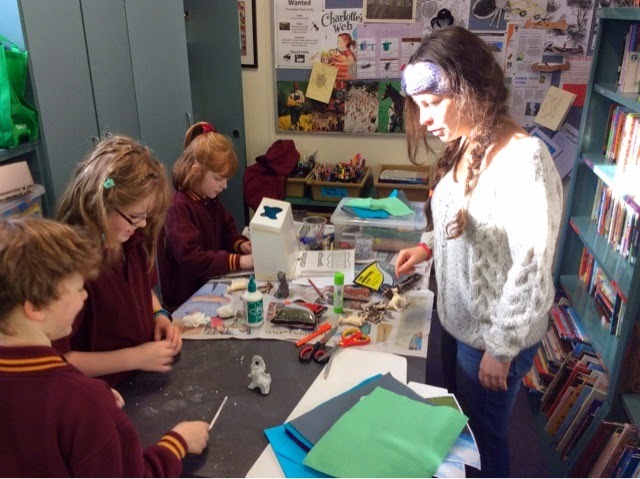 More than 200,000 students in Victoria - nearly a quarter of all primary and secondary students in the state - receive the Education Maintenance Allowance (EMA), which the state government is going to axe at the end of this year. EMA recipients receive between $150 to $300 to pay for everything from book packs, to uniforms, to school camps. In other schools the EMA ( which is usually signed over to the school) is used to pay for uniforms, book lists, fees and stationary items. The EMA is a relatively small part of Victoria's $5.9 billion school budget.But when Victoria signed up to the Gonski reforms last year they decided to remove funding going directly to students and put it into schools based on need.The Victorian Council of Social Service (VCOSS) said that was a big mistake. 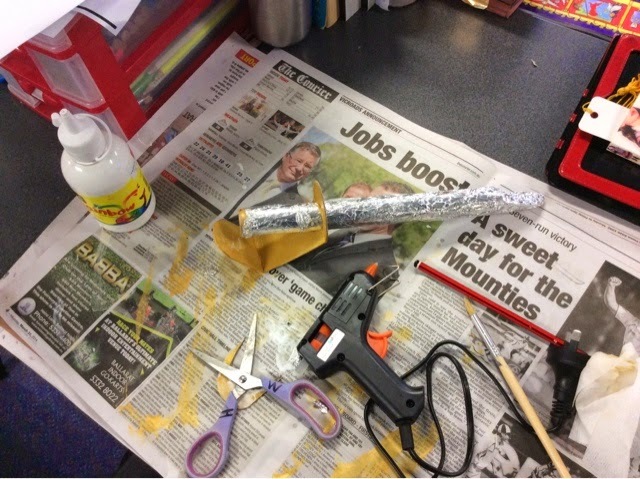 "General money flowing into schools is not targeted money going to children who absolutely need it to be able to attend and participate in school," VCOSS CEO Emma King told the ABC last week. The Government said even with the EMA cut, schools would have $170 million in additional money to help disadvantaged families.This change doesn't come into effect until the start of next year. Apparently they will be releasing information to schools about the changes this week. But until those questions are answered, parents and principals will remain concerned. It has not been well publicised by the Department since last year ( especially for those who have English as a second language) and it won't be noticed by many families until they actually come up at the beginning of the year and start asking to use their EMA for book lists or to pay fees. 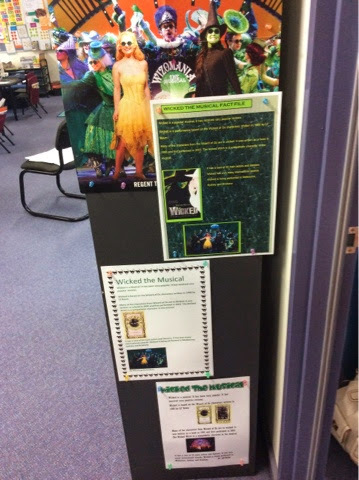 We are just about finished our unit on EB White stories. 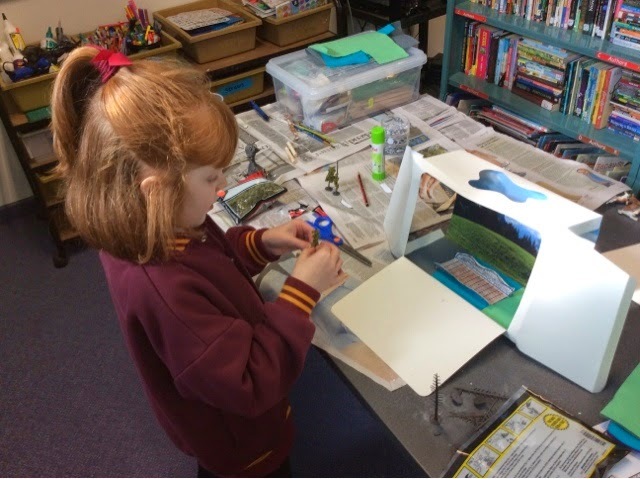 Finished reading The Trumpet and the Swan on Friday and the kids are working on their swan boats at the moment. 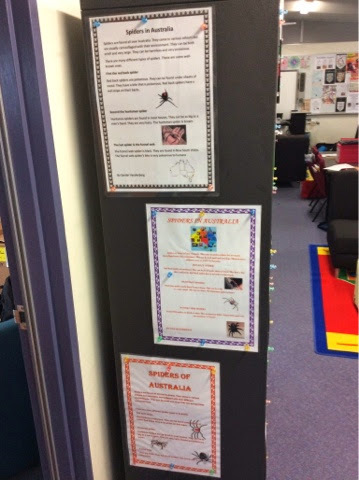 This is a LINK to the TPT site where you can download my teaching ideas. And I worry about cows!